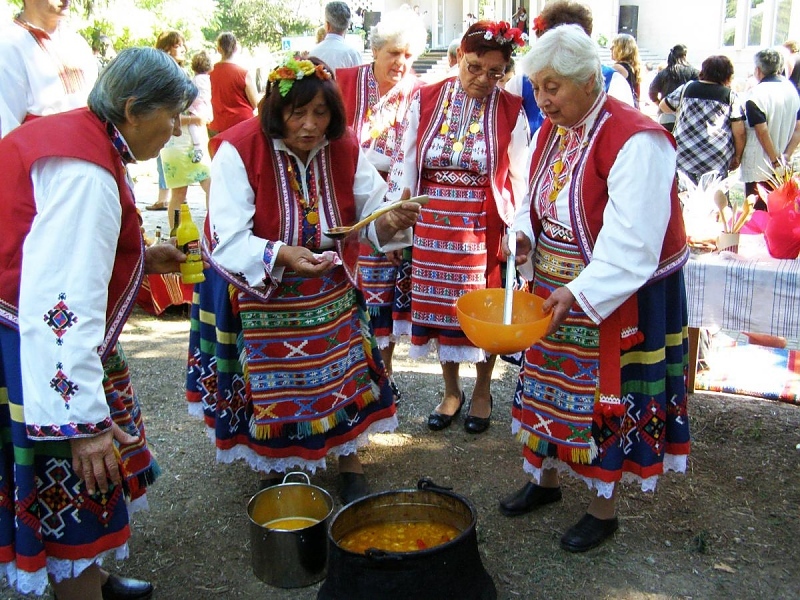 The fifth edition of the Day of the Chicken Soup Culinary Feast (Den na kokoshata chorba) will be held on September 12, 2015 in the village of Kozarevets, near Veliko Tarnovo. The holiday is traditionally celebrated on the first Saturday after the birth of the Blessed Virgin Mary which is marked on the fixed date of September, 8th. This Saturday the open fire pots for the chicken soup will be lit at 8.30 am at the park in front of the community centre in the village. Twelve culinary teams have submitted applications for participation – teams from Lyaskovets, Zlataritsa, Dzhulyunitsa, Dragizhevo, Dobri Dyal, Merdanya, Yantra, Strelets and Varbitsa. The contest will officially start at 10 am and the dishes will be tasted and rated at noon. There will be prizes for first, second and third place, and two special prizes for the most attractive cook and the best arranged stall of the cooking teams. Everyone present is welcomed to try the soups for themselves and see if the jury was right in their decision. As usual the fest will be garnished with good music and traditional folk dances.